China Telecom is a recognized leader in the global network service sector, owning and operating the largest set of network and data center assets in mainland China. 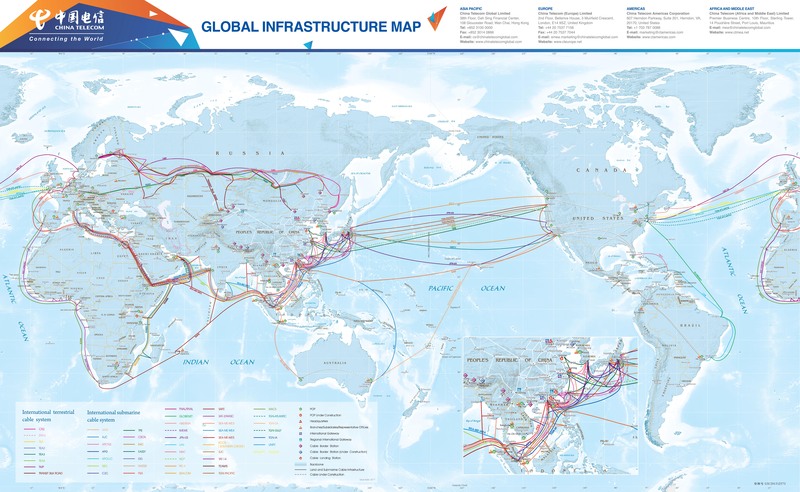 China Telecom also operates an extensive terrestrial and submarine network footprint throughout the Greater Asia region and connecting Europe and the U.S. to strategic Asian POPs. The China Telecom global footprint includes POPs and network infrastructure that extend to over 70 countries worldwide. China Telecom Americas was established in 2002 and has nearly 15 years of experience working in a wholesale fashion with leading telecoms, ISPs, and technology service firms in the U.S. and the Americas region. We operate a 24/7 bilingual network operations center in the U.S. and house a staff of sales, technical, operations and customer support personnel in office locations throughout North and South America. As the largest network operator in China, our parent company has positioned itself as the preferred partner for service providers globally who are seeking trusted and reliable solutions to extend their capabilities into China and Asia. China Telecom’s broad product and solution portfolio includes: Ethernet & SONET/SDH Private Line, Global & China IP Access, Layer 2 & 3 Private VPN, High Capacity Wavelength, Wholesale Voice, Datacenter & Colocation, Cloud IaaS, and Content & Media Delivery. No matter where your customers take you, China Telecom, with its vast and growing network footprint, its local and established NOC, Sales, & Service teams, and its “Customer First, Service Foremost” business philosophy is ready to help enable and expand your business to China, to Asia, and beyond.